[S1137] Richard Staehr, "Richard Staehr," e-mail message from (unknown address) to Kathleen Decker, e-mail address, Robert W. Glancy "Bob" (BornMontezuma, NY Died August 25th, 2016 Lancaster, PA) and his Wife Patricia A. "Pat" (Born May 23rd, 1930 Auburn, NY Died March 7th, 2007 Auburn, NY) and her maiden name is estimated as Noga or O'Connor. [S1137] Richard Staehr, "Richard Staehr," e-mail message from (unknown address) to Kathleen Decker, e-mail address, Robert W. Glancy "Bob" (Born August. 31st, 1927 Montezuma, NY Died August 25th, 2016 Lancaster, PA) and his Wife Patricia A. "Pat" (Born May 23rd, 1930 Auburn, NY Died March 7th, 2007 Auburn, NY) and her maiden name is estimated as Noga or O'Connor. [S261] The Citizen, Auburn, NY, AUBURN — Robert W. Glancy, 88, formerly of Mullen Drive, Auburn, passed away peacefully on Aug. 25, 2016 surrounded by his loving family in Lancaster, Pa.
A native of Auburn, Robert, born the son of Frank and Margaret Glancy came into this world in Montezuma, N.Y. on Aug. 31, 1927. He served in the U.S. Navy for eight years and was honorably discharged in 1954. Having learned his trade in the U.S. Navy, Robert retired as a Graphics Artist from Syracuse Lithography. Being the quintessential family man, family always came first and foremost with Robert. Many fond memories were created around the family dining room table, playing cards, games, and just passing time laughing and storytelling. Robert, the avid skier, was one of the founding members of the Finger Lakes Ski Club and could usually be found raising a glass to fresh powder on the slopes. Preceded in death by his loving and gregarious wife, Patricia O’Connor Glancy. Robert leaves many family and friends behind to join his loving wife; four children, Cynthia Mumma and husband, James, of Lancaster, Pa., Terrance Glancy and Sherri, of Auburn, Shawn Bayles and Bill, of Auburn, and Michael Glancy and wife, Michele, of Charlotte, N.C.; five grandchildren, Corynn Hemmings, Justin Bayles, Carson Negele, Caitlin Mumma, and Iain Glancy; four great-grandchildren, Matthew and Noah Hemmings, Madelyn and Evelyn Bayles. Preceded in death are his siblings, Peg Corbin, Bernie Lee, and John Glancy. Robert and his family thank everyone for their thoughts and prayers and ask that you remember him and celebrate his life. Calling hours will be held from 6 to 8 p.m. Sunday, Aug. 28, 2016 at Farrell’s Funeral Service, Inc., 84 South St., Auburn. A Mass of Christian burial will be celebrated at 10:30 a.m. Monday, Aug. 29, 2016 in Sacred Heart Church, Auburn, with Rev. Michael Brown, Pastor, as celebrant. Interment will be in St. Joseph’s Cemetery. 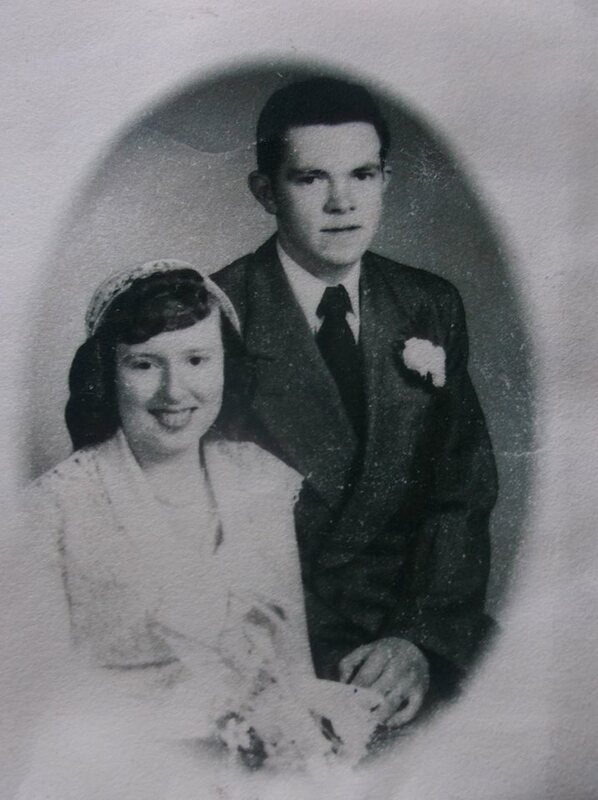 Joan Bernadine Glancy was born on 11 March 1931 at Montezuma, Cayuga, New York, USA.2,1 She married Arthur L. Lee circa 1951. Joan Bernadine Glancy died on 16 March 1992 at Syracuse, Onondaga, New York, USA, at age 61.3,4 She was buried in at St. Joe's Sec 84 Lot 418 1E. Notes: Aug 1947: Name listed as JOAN BERNADINE GLANCY; 20 Dec 1976: Name listed as JOAN BERNADINE LEE; : Name listed as JOAN BERNICE LEE; 22 May 1998: Name listed as J B LEE. [S85] Montezuma Birth Records, online <http://web.archive.org/web/20001110085900/http://…>, March 17, 1992. [S85] Montezuma Birth Records, online <http://web.archive.org/web/20001110085900/http://…>, Mar 17, 1992. William Anthony Glancy was born circa March 1950 at Auburn, Cayuga, New York, USA. He died on 20 March 1952 at Auburn, Cayuga, New York, USA.1 He was buried in at St. Joe's Sec 26 Lot 91 2SE. Margaret K Glancy married James W. Corbin, son of Cyryl Corbin and Helen Moran. [S85] Montezuma Birth Records, online <http://web.archive.org/web/20001110085900/http://…>, April 13, 1994. Her married name was Day. Mary Adelaide Vail was born on 8 August 1874 at Auburn, Cayuga, New York, USA.2,1 She lived in 1880 at Auburn, Cayuga, New York, USA.1 She married Isaac Austin Day, son of John Day and Martha Singleton, on 8 June 1908 at Auburn, Cayuga, New York, USA.3 Mary Adelaide Vail married Isaac Austin Day, son of John Day and Martha Singleton, on 8 June 1908 at Auburn, Cayuga, New York, USA.4 Mary Adelaide Vail died on 18 April 1953 at Auburn, Cayuga, New York, USA, at age 78. [S544] Unknown author, Auburn Marriage Records (n.p. : n.pub., unknown publish date), Volume I Pg 102. Francis A. Vail lived at 97 N. Fulton St., Auburn, Cayuga, New York, USA. He was a machinist at Shoe Form Company. He lived in 1880 at Auburn, Cayuga, New York, USA.1 He was born on 18 February 1880 at Auburn, Cayuga, New York, USA.1 He was born on 18 February 1880 at Auburn, Cayuga, New York, USA. He died on 21 October 1965 at Auburn, Cayuga, New York, USA, at age 85. He was buried in at St. Joe's Sec 29 Lot 168 1SE. William Vail was Carpenter. He was born in 1844 at Waterford, Ireland.2,1 He immigrated in 1850.2 He married Mary O'Connor, daughter of Thomas O'Connor and Margaret Brown, circa 1863 at Troy, Rensselaer, New York, USA. William Vail lived in 1880 at Auburn, Cayuga, New York, USA.1 He died on 15 April 1909 at Auburn, Cayuga, New York, USA. He was buried in at St. Joe's Sec 9 Lot 6 13. Edward Vail lived at 6241 Woodlawn Ave., Chicago, Cook, Illinois, USA. He was born on 29 April 1878 at Auburn, Cayuga, New York, USA.2 He was born on 29 April 1878 at Auburn, Cayuga, New York, USA.3,1 He lived in 1880 at Auburn, Cayuga, New York, USA.1 He married Norma (?) Edward Vail died after 1929. [S540] Unknown author, Paul William Vail (n.p. : n.pub., unknown publish date), Auburn, New York 7th ward. Rose Helen Vail lived at 175 Woodlawn Ave, Auburn, Cayuga, New York, USA. Her married name was Barron. She was born on 29 August 1881 at Auburn, Cayuga, New York, USA. She was born on 29 August 1881 at Auburn, Cayuga, New York, USA. She married Daniel L. Barron, son of John Barron and Nora Burke, on 9 September 1908 at Auburn, Cayuga, New York, USA.1 Rose Helen Vail married Daniel L. Barron, son of John Barron and Nora Burke, on 9 September 1908 at Auburn, Cayuga, New York, USA.2 Rose Helen Vail died on 2 July 1974 at Auburn, Cayuga, New York, USA, at age 92. She died on 2 July 1974 at Auburn, Cayuga, New York, USA, at age 92. She was buried in at St. Joe's Sec 18 Lot 58 2NW. Joseph Vail lived at 9 Frederick Street, Auburn, Cayuga, New York, USA. He was born on 11 March 1886 at Auburn, Cayuga, New York, USA.1 He married Helen M. Crelley on 1 April 1902 at Auburn, Cayuga, New York, USA. Joseph Vail married Helen M. Crelley on 1 April 1902 at Auburn, Cayuga, New York, USA. Joseph Vail died on 5 September 1951 at Auburn, Cayuga, New York, USA, at age 65. He was buried in at St. Joe's Sec 58 Lot 1 18. [S26] 1900 United States Federal Census, online , Auburn, New York 7th ward. Alice Teresa Vail lived at 57 Wall St., Auburn, Cayuga, New York, USA. Her married name was Nolan. She was born on 4 January 1871 at Auburn, Cayuga, New York, USA.2,1 She was born on 4 January 1871 at Auburn, Cayuga, New York, USA. She lived in 1880 at Auburn, Cayuga, New York, USA.1 She married Dennis J Nolan, son of John Nolan and Ellen Whalen, on 27 June 1901 at Auburn, Cayuga, New York, USA. Alice Teresa Vail died on 3 October 1952 at Auburn, Cayuga, New York, USA, at age 81. She died on 3 October 1952 at Auburn, Cayuga, New York, USA, at age 81. She was buried in at St. Joe's Sec 49 Lot 15 1N. [S541] Unknown author, St. Mary's Birth Records (n.p. : n.pub., unknown publish date), St Mary's Birth records LDS Microfilm Roll #11 Nazareth College, Pittsford NY. Cecelia T. Vail was born on 1 February 1877 at Auburn, Cayuga, New York, USA.2 She was born on 1 February 1877 at Auburn, Cayuga, New York, USA.3,1 She lived in 1880 at Auburn, Cayuga, New York, USA.1 She died on 23 January 1962 at Auburn, Cayuga, New York, USA, at age 84. She died on 23 January 1962 at Auburn, Cayuga, New York, USA, at age 84. She was buried in at St. Joe's Sec 18 Lot 58 4SW. Thomas J. Vail was Carpenter and cabinet maker. He lived at 57 N. Fulton St., Auburn, Cayuga, New York, USA. He was born on 15 March 1869 at Auburn, Cayuga, New York, USA. He was born on 15 March 1869 at Auburn, Cayuga, New York, USA.1 He lived in 1880 at Auburn, Cayuga, New York, USA.1 He married Marian E. Brennan on 23 September 1901 at Auburn, Cayuga, New York, USA. Thomas J. Vail married Marian E. Brennan on 23 September 1901 at Auburn, Cayuga, New York, USA. Thomas J. Vail died on 16 December 1966 at Auburn, Cayuga, New York, USA, at age 97. He died on 16 December 1966 at Auburn, Cayuga, New York, USA, at age 97. He was buried in at St. Joe's Sec 29 Lot 168 2NW. [S2] 1880 United States Federal Census, online , Auburn, New York 7th ward. James Henry Vail was born circa 1868 at Silver Spring, Cayuga, New York, USA.2,1 He lived in 1880 at Auburn, Cayuga, New York, USA.1 He married Mary Josephine Dougherty, daughter of Unknown Loftus, circa 1890 at Auburn, Cayuga, New York, USA.3 James Henry Vail died on 23 March 1905 at Auburn, Cayuga, New York, USA.4 He died on 23 March 1905 at Auburn, Cayuga, New York, USA.5 He was buried in at St. Joe's Sec 9 Lot 3-16. [S542] Unknown author, Cayuga County Surrogate's Records (n.p. : n.pub., unknown publish date), Box 497. John J. Vail lived at 36 Orlando St, Rochester, Monroe, New York, USA. He was born on 19 January 1872 at Auburn, Cayuga, New York, USA.1 He lived in 1880 at Auburn, Cayuga, New York, USA.1 He married Elizabeth Devereax on 8 April 1896 at St. Mary's Church, Auburn, Cayuga, New York, USA. John J. Vail married Elizabeth Devereax on 8 April 1896 at Auburn, Cayuga, New York, USA. Mary (?) married William Vail. [S30] The Auburn Bulletin, Auburn, NY, July 12, 1898 p. 4. Patrick Barry was born circa 1832 at Ireland.1 He was born circa 1835 at Ireland.2 He married Alice O'Connor, daughter of Thomas O'Connor and Margaret Brown. Patrick Barry lived in 1880 at Auburn, Cayuga, New York, USA.1 He died on 15 April 1899 at Auburn, Cayuga, New York, USA. [S520] St. Joseph's, Fleming, Genweb Transcription, Url: Rootsweb.com/~nycayuga, online <http://web.archive.org/web/20020225192343/www.rootsweb.com/…>, 1892 Census Auburn, New York 7th ward. [S520] St. Joseph's, Fleming, Genweb Transcription, Url: Rootsweb.com/~nycayuga, online <http://web.archive.org/web/20020225192343/www.rootsweb.com/…>, 1800 Census Auburn, New York 7th ward. [S543] Unknown author, Not listed in Brother, James's Obituary (n.p. : n.pub., unknown publish date). [S85] Montezuma Birth Records, online <http://web.archive.org/web/20001110085900/http://…>, Obituary Nov. 30, 1945 p8. [S19] Ancestry.com, 1800 United States Federal Census (n.p. : Online publication - Provo, UT, USA: Ancestry.com Operations Inc, 2010. Images reproduced by FamilySearch.Original data - Second Census of the United States, 1800. (NARA microfilm publication M32, 52 rolls). Records of the Bureau of the Census, Record Grou, unknown publish date), Auburn, New York 7th ward. [S85] Montezuma Birth Records, online <http://web.archive.org/web/20001110085900/http://…>, August 21,1929 p.9. H. Marie Connors was Type: Cause of Death. She was Type: Cemetery at St. Joe's Lot 8 Sec 22 - 24. She was born on 3 November 1912 at Montezuma, Cayuga, New York, USA. She died on 28 December 1912 at Montezuma, Cayuga, New York, USA.